Helen joined Dice Financial Services Group in 1986. Through her 20 + years of experience in the banking and insurance business; Helen has obtained her health and life insurance licenses, along with Medicare and Part D certification. 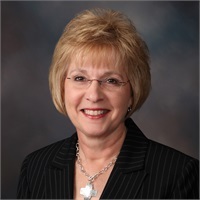 Helen is a representative for DakotaCare, Wellmark Blue Cross Blue Shield, Avera Health Plans, and Sanford Health Plan. Her years of experience as a professional have been essential in her position as Office Manager. Helen was born and raised in Mitchell, South Dakota. Together with her husband, Bill, they have raised two daughters and continue to call Mitchell their home today. In her free time, she enjoys camping, cooking, and being with her grandchildren and family.